Posted: Tuesday, April 9, 2019. 7:32 pm CST. 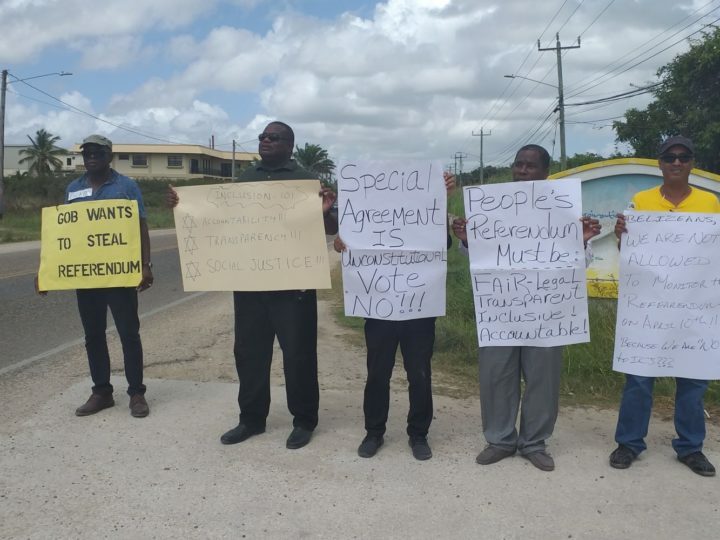 By BBN Staff: The Belize Peace Movement (BPM) celebrates that the April 10th referendum was postponed, but said that the People’s United Party (PUP) is “playing politics” with an issue that should not have been politicized. The BPM’s Robert Lopez noted that the PUP handled the majority of the 2008 special Agreement that gave rise to the Referendum, a fact that attorney for the Government of Belize, Lisa Shoman, also noted lastweek. “It’s regretable that the political parties had to play politics with just about everything. It’s really unfortunate because it could have been an opportunity for them to take the politics out of it and really look at it as a national issue,” Lopez said. He emphasized that the members of the BPM have been publicly opposing every step of the process, from the signing of the Special Agreement, to the amendment of the Referendum Act which came at the request of Guatemala, and also the decision to hold the referenda in both countries separately instead of simultaneously. He stressed that the option to oppose any of those steps was open to the PUP for the 11 years the United Democratic Party (UDP) has been in administration but that they only chose now to take any decisive action, indicating to the BMP that their interests are more geared towards political positioning rather than a genuine concern for addressing the territorial dispute.